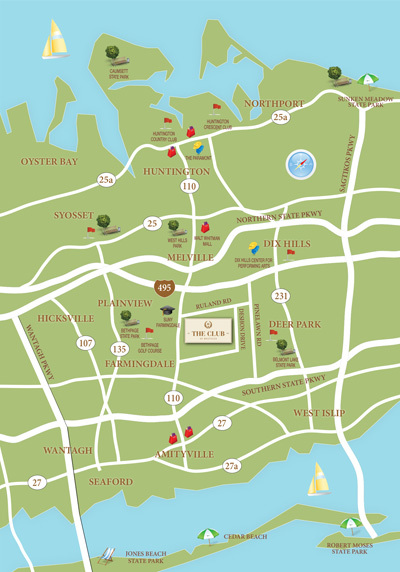 The Club at Melville is close to great shopping malls, boutiques, beaches, golf clubs and restaurants. Parks and theaters are all within a few miles of your front door. Manhattan is just 45 minutes away by express train. It’s the perfect place to enjoy the best of life. Location: 25 Deshon Drive, Melville, NY 11747.